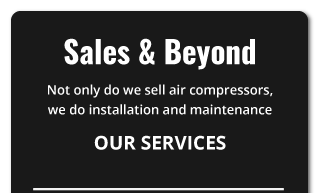 JPF Industries is Central Ontario’s source of complete air compressor services. Rely on us for sales, installations and maintenance of stationary and portable gas-powered and diesel-powered air compressors. We also provide service on blowers, filters, regulators, air dryers and lubricators. Our team is committed to making your business more productive and cost-effective with honest service and affordable rates. We’ll even lend your business a replacement air compressor to reduce your facility’s downtime! 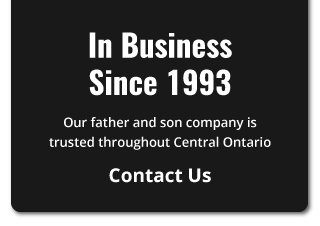 Family owned and operated, JPF Industries has 2 decades of experience providing superior service to stationary and portable air compressors throughout Central Ontario and the GTA. JPF Industries’ owner, John Ferencz, joined his father in the business in 1993, and since then has been the region’s trusted resource for sales, service and installation of air compressors and a range of industrial equipment. Choose JPF Industries and take your business to the next level with dependable sales, service and installation of Omega Compressors, blowers, filters, regulators, air dryers and lubricators. We count customers from several industries, including dentists, automotive repair shops, hospitals and an array of industrial facilities in Central Ontario. Call us today to learn how JPF Industries can benefit you!